When it comes to my online bookmarks, I am very particular about which sites make the cut. Only my very favorite blogs, websites or destinations are added and then they have to continually impress me in order to stay there. So, to say that when I first stumbled upon Tiny Prints a few years ago and have had it bookmarked as "Cute Cards" ever since says quite a bit about what I have always thought of their designs, quality and overall great service. Therefore, when it came time for my sister-in-law and her husband to order their holiday cards, there wasn't a site that I would recommend to them more for a product that they would be extremely pleased to send out to their family and friends. 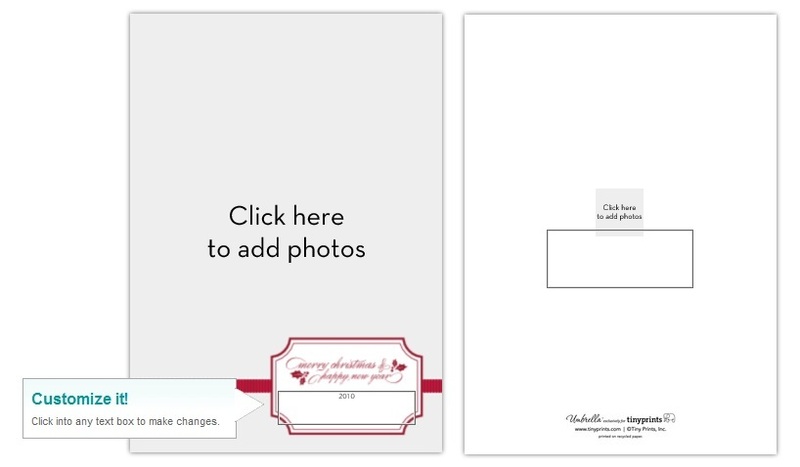 With hundreds of holiday cards available, right away I liked the My Picks option that Tiny Prints offers to make narrowing down your favorites a little easier. Simply click on the folder icon next to a design and it will be saved to a tray so that after you have browsed you can go back and compare your top picks. Very convenient! When it came to selecting a style, because my sister-in-law had a photograph in mind to use, it was great that Tiny Prints has the option to narrow down their vast selection by number of photos, format, size and many more. 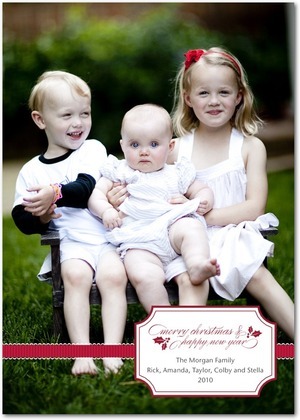 After searching through and trying out a few cards, she and her husband decided on the Notched Corners: Holiday card. After deciding the format and wording and uploading their picture (which was easily edited just how they wanted it), we found that the front wasn't the only location where personalization could occur. With the option to add photos and/or text right onto the back, that just made this custom card even more one-of-a-kind. In only a few short days (I was amazed that these arrived so soon), the finished product showed up and the quality definitely lived up to my expectations. The colors were vivid and bright and the thickness and heavyweight cardstock was durable and resilient. Combine them with the crisp, clean envelopes and these are certainly cards that this cute couple can be happy to mail out. 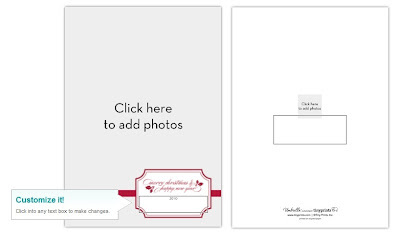 Tiny Prints provides simple, modern and unique stationary from Christmas cards to personalized greeting cards to thank you cards and even business cards. Offering exclusive designs from the nation's top designers, easy card personalization, a powerful preview engine and top-notch customer service and paper quality, their designs have been lauded by numerous television networks, publications and celebrities. With Tiny Prints, multiple aspects of the holidays can be taken care of for you! They offer party invitations for every occasion and memorable personalized photo gifts like notebooks, photo books and calendars. This season, Tiny Prints has cards and gifts to fit every personality and style to fit a budget big or small that you are sure to love. Have a blog? 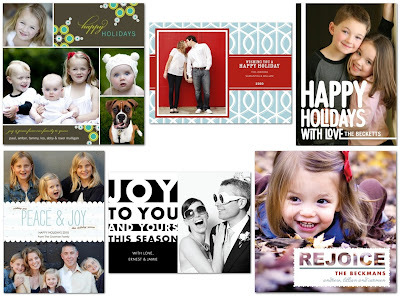 Interested in reviewing Christmas cards from Tiny Prints? Check out their review program and see if you qualify! Photo cards are really the best! I also like the calendar idea. They would be fabulous gifts!